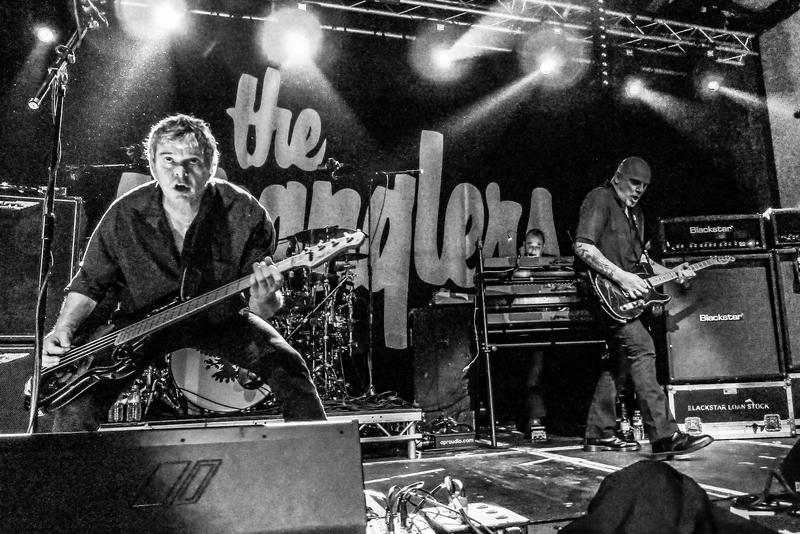 In March 2016, The Stranglers will head out on a full UK tour which will see them showcase their legendary Black & White album both chronologically and in its entirety plus additional material new and old. The band's third studio album Black & White was unleashed in May 1978 and showed them to be the first of their peers to break away from the 'punk' formula of the previous year. Described recently by journalist John Robb as 'the first post punk album', its release was acclaimed by fans and critics alike at the time and it reached number 2 in the UK charts. Lyrically, subject matter had been broadened by the band's recent travels around the world and included the Cold War, Yukio Mishima, Sweden and Hell's Angels. The 18 date tour kicks off with a trio of gigs north of the border, visiting Perth on the 3rd, Inverness on the 4th and Glasgow on the 5th. The itinerary then heads south, via Nottingham, Liverpool and Newcastle before the London date on Friday 11th at the 5000 capacity Brixton Academy- a venue which the band last played 25 years ago back in 1991. After a hometown date in Guildford, the tour takes in some less visited places including Reading, Salisbury and Folkestone before the final gig in Manchester on the Saturday 26th. Shifting from their recent home at the Academy, the band return to the legendary Manchester Apollo where they played regularly between 1978 and 1990, with its 3500 capacity, it will be a fitting finale to the tour. The special guests for the complete tour will be Welsh rockers The Alarm featuring Mike Peters. We have 2 pairs of tickets to give away for the Manchester O2 Apollo gig on 26th March, to enter simply re-tweet the message below and/or share this story. Terms apply. The winners will be announced via Twitter DM on Feb 29th. (extended to 12th March) Best of luck!